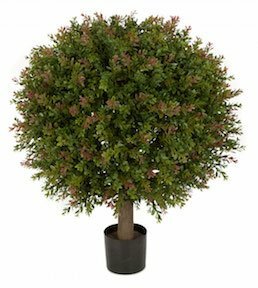 24 Inch x 20 Inch Wintergreen Boxwood Ball Topiary has Limited UV Resistance. Our Topiary has beautiful slightly darker tones. Plastic base contianer included. Adding a decorative base container to match your decor would be a nice addition for an beautiful display.